Federal law in the United States prohibits discrimination on the basis of race, gender, religion, or ethnic background. 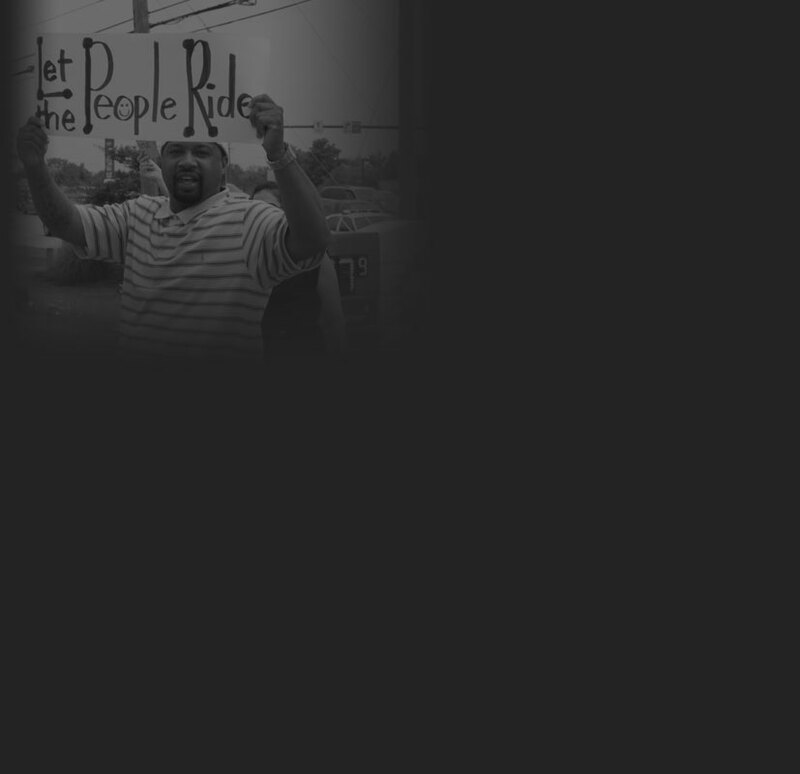 In the case of Free to Ride, we see the implications of federal anti-discrimination laws and how they can be used by community members who believe that their rights have been violated. The Civil Rights Act of 1964 was arguably the most significant piece of civil rights legislation to come out of the United States Congress at the time of its passage in over 100 years. The legislation was originally sent to Congress by President John F. Kennedy in June of 1963. It was a fiercely controversial bill, with debate on the floor of the United States Senate lasting 82 consecutive days due to a filibuster from opponents before it was finally passed. This remains the longest filibuster in the history of the Senate. Ultimately, the Civil Rights Act of 1964 passed the House of Representatives by a vote of 289-126 and the Senate by a vote of 73 to 27. President Lyndon B. Johnson signed the Act into law on July 2, 1964. 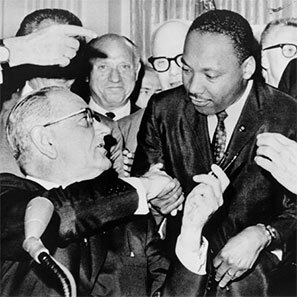 The original text of the Civil Rights Act of 1964 has been amended a number of times by Congress, with noteworthy amendments taking place in 1972 and 1991. Generally, the United States Supreme Court has upheld the constitutionality of the Civil Rights Act of 1964. While the Court continues to interpret portions of the Act, its overall goals and legitimacy have been solidified. The Civil Rights Act of 1964 expressly prohibits discrimination on basis of race, gender, religion, and ethnic background. The Act contains eleven different titles which focus on addressing discrimination in different aspects of life, creating agencies to enforce or implement parts of the Act, and establishing processes for enforcing the Act. According to the Encyclopedia of the United States Supreme Court, the substantive heart of the Act are Titles II, III, IV, VI, and VII. These Titles take action like prohibiting discrimination in public accommodations, continuing the desegregation public schools, and requiring nondiscrimination in federally assisted programs. ABLE’s complaint to the Federal Highway Administration (FHWA) alleged that Beavercreek’s decision to deny bus stop access along Pentagon Boulevard was a violation of Title VI of the 1964 Civil Rights Act. Furthermore, they believed that Department of Transportation policies prohibiting discrimination on the basis of race had been violated, and this action had a disparate impact on Dayton’s communities of color. Even though the ruling of Brown v. Board of Education by the United States’ Supreme Court had deemed “separate but equal” practices unconstitutional, there were still federal financial assistance statutes that were technically operating under the “separate but equal” doctrine. Title VI eliminated any question of unconstitutionality of these statutes. Title VI made it clear to federal agencies that they had the constitutional authority to prohibit discrimination under the jurisdiction of their programs. Title VI ensured that Congressional policy on the issue of discrimination was “uniform” and permanent. Congress would no longer need to debate the nondiscrimination clauses into the text of any and all bills dealing with the financing of federal funding programs. Title VI was seen as an “efficient” alternative to litigating the constitutionality of discrimination. For example, instead of groups having to bring discrimination lawsuits against individual federal agencies, Title VI made it clear that such discrimination was illegal without rulings from the courts. Federal funding was still being regularly used for programs and policies that discriminated against people on the basis of race, color, or national origin. To initiate a complaint under Title VI of the Civil Rights Act, the offended party has two options. The first is to file an administrative complaint directly with the federal agency that oversees the allocation of federal funding dollars which are being used in a discriminatory manner. The second is to file a legal suit in federal court on the issue of federal funding being used in a discriminatory manner. If a beneficiary of federal funding dollars is found to have discriminated against a person or group because of their race, color, or national origin, they are in violation of Title VI and the federal agency works to bring the beneficiary back into legal standing through voluntary compliance. While Title VI actually deals with the prohibition of intentional discrimination, many federal funding agencies have regulations that prohibit all discrimination in these circumstances, even if there is no intent to discriminate. The constitutionality of these agency regulations has been upheld by the United States Supreme Court. If voluntary compliance cannot be achieved, the Department of Justice recommends that the agency begin the process of terminating federal funding to the offending party or turn the matter over to the Department of Justice for further legal proceedings. In Free to Ride, the City of Beavercreek was brought into voluntary compliance with Title VI of the Civil Rights Act when they reexamined the GDRTA’s application for bus stops along the Pentagon Boulevard corridor. After the passage of the application for these stops by City Council, no further action was required by the Federal Highway Administration and the issue was not referred to the Department of Justice for further legal proceedings. Disparate impact theory deals with actions or practices that are “nondiscriminatory on their face but have a disproportionately negative effect on members of legally protected groups.” By eliminating the need to prove discriminatory intent, it is easier to prove in the court of law that policies and actions negatively impact certain protected groups of citizens. In Free to Ride we see how disparate impact can be applied in the case of transportation inequality. ABLE and LEAD did not have to prove to FHWA to the City of Beavercreek had intentionally discriminated against people of color by denying bus stop access along the Pentagon Boulevard corridor. Instead, the complainants only had to demonstrate that by denying the bus stop permits, Beavercreek City Council’s actions had a disproportionate effect on people of color. The preservation of anti-discrimination laws is important because they still have many implications in the America of today. The current face of discrimination is not what it has been historically in the United States. As we see in Free to Ride, discrimination does not have to be overt, or explicit. Discrimination can be found in the ways that we build our communities and decisions that are made may have a disproportionately negative effect on people who fall into the protected classes outlined in civil rights legislation. What are some areas of your life where you see discrimination occurring? Can you think of any examples of policies or government activities that might affect different groups of people in different ways? Look at the policies of your own community. Does your local government have a nondiscrimination ordinance? If not, do you think they should? What groups of people should they be protecting from discrimination? Chambers, H. (2008). Civil Rights Act of 1964. In D. Tanenhaus (Ed. ), Encyclopedia of the Supreme Court of the United States (Vol. 1, pp. 326-331). Gale, Cengage Learning. Ramey, C. (2015, February 27). America’s Unfair Rules of the Road. Slate. Russo, C. (Ed.). (2010). Disparate Impact. In Encyclopedia of Law and Higher Education (pp. 128–130). SAGE Publications. The Supreme Court Keeps the Fair Housing Law Effective. (2015, June 25). The New York Times. Title VI Of The Civil Rights Act Of 1964 42 U.S.C. 2000d Et Seq. (2015). Russo, C. (Ed.). (2010). Disparate Impact. In Encyclopedia of Law and Higher Education (pp.